I completely understand why so many of the students I work with on college application essays—including those from California or other states or even other countries—shoot for one or more UCs in their list of target schools. Trouble is, the number of applicants keeps growing, making it more competitive and difficult to get accepted. More than 206,000 students applied to attend the University of California as undergraduates in fall 2016, a jump of 6.4 percent over fall 2015 and the 12th consecutive year of record-breaking high numbers of applicants. As with other college applications, the University of California required essays (which they now call Personal Insight Questions) are the one place you have the power to stand out from the competition. With the thousands of essays each UC has to read, it’s hard to imagine how these essays count in who they accept. But most of the admissions departments reportedly use some type of rubrics to evaluate them, and take them very seriously. I encourage students not to worry too much about how much these count in the application process. You simply don’t know. Concentrate on making each Personal Insight Question essay count as much as possible. If you haven’t started on your essays yet, it’s time! Use this link to find the application. The 2016-17 Essay Prompt(s): The prompts are all-new this year. Students choose to respond to 4 of 8 Personal Insight Questions. Each short Personal Insight Question essay must be less than 350 words. Check out my handy info page that features links to my posts that offer tips and strategies on all 8 of the Personal Insight Questions. 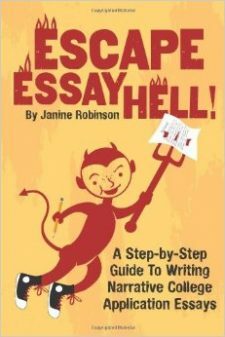 This has EVERYTHING you need to get cranking on these essays, and nail them! I also wrote 21 Tips for the UC Personal Insight Questions that you can quickly skim through and learn how to make them stand out and effective. Deadline: Students can submit their applications between Nov. 1 to 30. The deadline is November 30. They typically receive the admission decision by end of March. Get it in as early as you can. Why not be the first in line? Questions: Students can call the application center at (800) 207-1710 (within the U.S.) or (310) 513-2715 (outside the U.S.) during normal business hours, or e-mail ucinfo@applyucsupport.net. If you are serious about going to college in California, this is your ticket!